Twin Flames: Intensive Twin Flame energy clearing session 2. Does it feel like the Universe isn't listening to you? Manifestations and prayers going unfulfilled? Twin Flame harmony not showing up no matter what you do? The Universe isn't the problem - your energy is. Filters of receiving:Did you know you're only ever able to receive what your energy field is open to allowing in? Like with a screen door, your energy field only allows in things to filter through within a certain spectrum range - you could be unwittingly blocking the very things you're asking for! This means you could be praying for and working on manifesting joy, love and Union with your Twin - while simultaneously blocking it from ever reaching you! Are you always the giver, never the receiver? The deep energetic patterns of Lack of self love and Lack of worth are notorious, stubborn blocks to receiving love, money and help from others, and I've seen this in hundreds of Twin Flame sessions (plus it's how I lived my life before I learned about energy clearing). The truth is that the Universe and our guides are constantly working to bring us the things we're asking for - but in so many cases those very things are being blocked by default by our energy field, and we never receive. I've been asked to help Twin Flames with this in a brand new Energy Clearing Session. Because the great news is we can adjust these things, we can "rewire" our energy - In this brand new Live Clearing for Twin Flames, we tackle blocks to love and abundance and give you a "reality upgrade" so you can finally accept in all the amazing things you've been asking for! 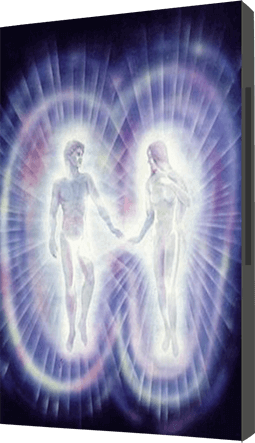 Getting to Twin Flame Union - In addition to these deep clearings to open you up to receiving more and more of the high vibrational energy called Love, we will be downloading to you new energy blueprints and programming to help you get to Twin Flame Union for this coming year. Our chakras contain much old energy programming that needs to be released and upgraded with new high vibrational programming for Union to take place; and we'll be doing this during the call! Remember to stay till the end - there is a Q&A session where we address many common issues and questions for the Twin Flame path. "This is just magical and I'm moved to tears...This huge block between us just dissolved in a snap and we are now closer than ever before ! It's like a miracle just happened before my very eyes.All this came from your work, your vibrational alignement program, and the techniques you share. She and I are doing the Work, of course, but it would be so much more difficult and long without you. The only way is UP...So thank you, thank you, thank you..with positivity and abundance in all ways." "Thank you from the bottom of my heart for yesterday's clearing session - it was AMAZING!!! Truly life changing"
"OMG it was great! I cried when I contacted my inner child and both my inner child and my twin's inner child has been with me since that day!" "I so enjoyed the call today ...thank you! It was truly a breath of fresh air. I learned many helpful things and feel much more at ease"